We made it through summer, and the autumn season officially kicks off on September 23rd. The extended weather forecast shows the heat finally breaking and the inevitable temperature decline on the way! Stores are stocking up on their fall season decorations, candy makers are pushing out their festive sugary treats and everyone you know is running to Starbucks to order pumpkin-spiced anything. 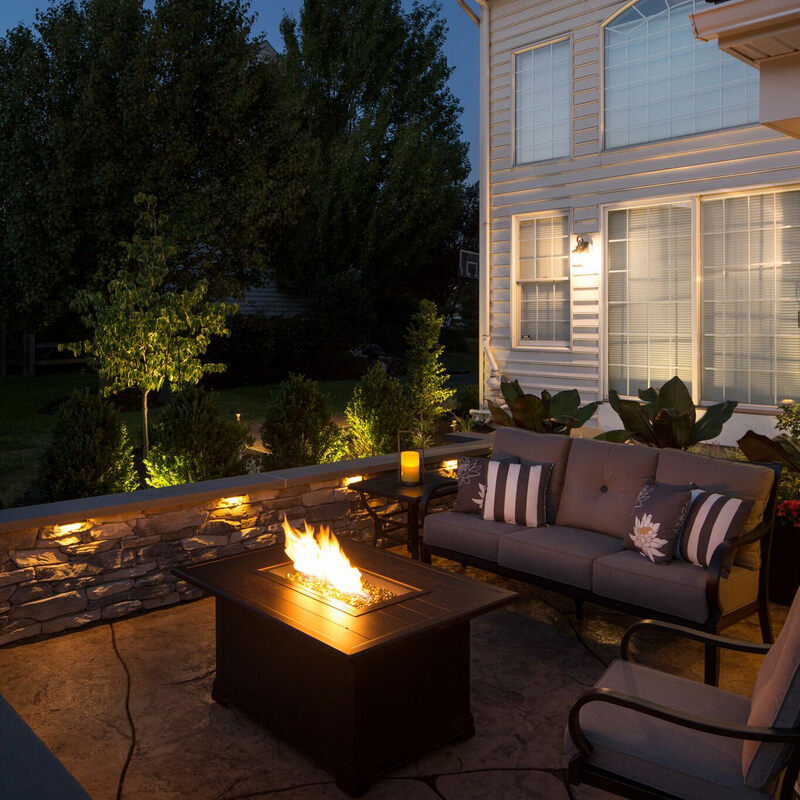 Do you have a plan for your outdoor living spaces for when the temperatures take a dip? By being proactive in the fall, opening everything back up in the spring will be a breeze. Here are a few preventive maintenance tips to make things a little easier in the long-run. After a fun-filled summer of little feet, dirty paws and corked wedges scurrying across your low-maintenance deck, a lot of built-up dirt can remain. Use this pleasant weather to break out the power washer and have yourself a little uninterrupted “you” time. 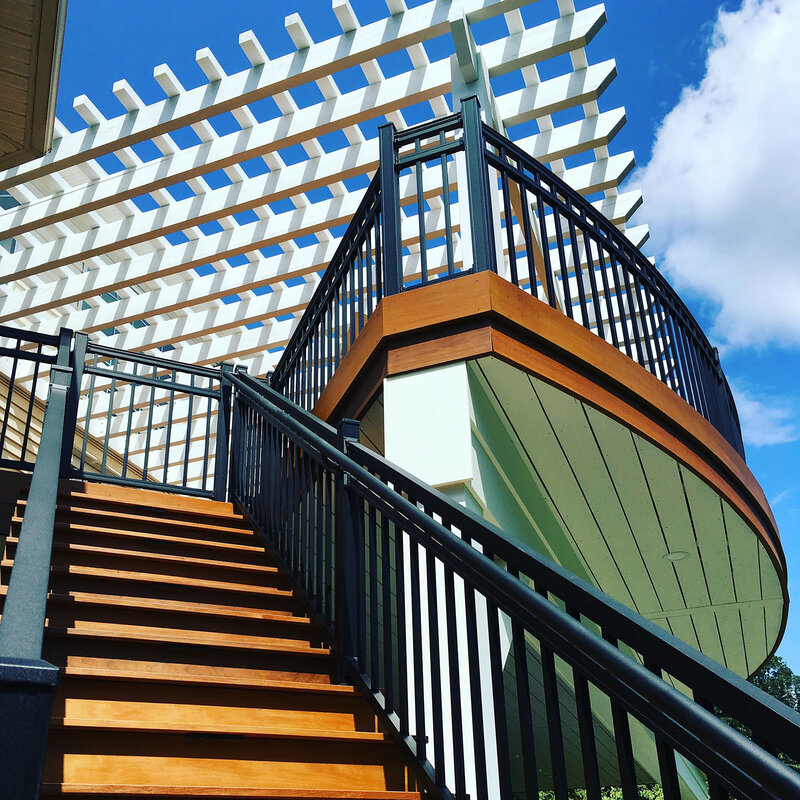 Depending on what material your deck is constructed of, be sure to consult your deck material manual to read about the proper care. The psi of your power washer should be adjusted before you begin the cleaning process. For Trex decking, the maximum should be no greater than 3100 psi, but for Azek decking materials, the maximum should be no greater than 1300 psi. 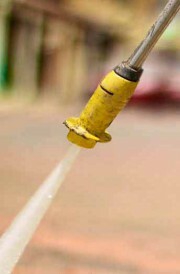 Hold the nozzle at least 8″ away from the deck boards and use a fan nozzle to evenly distribute the water. 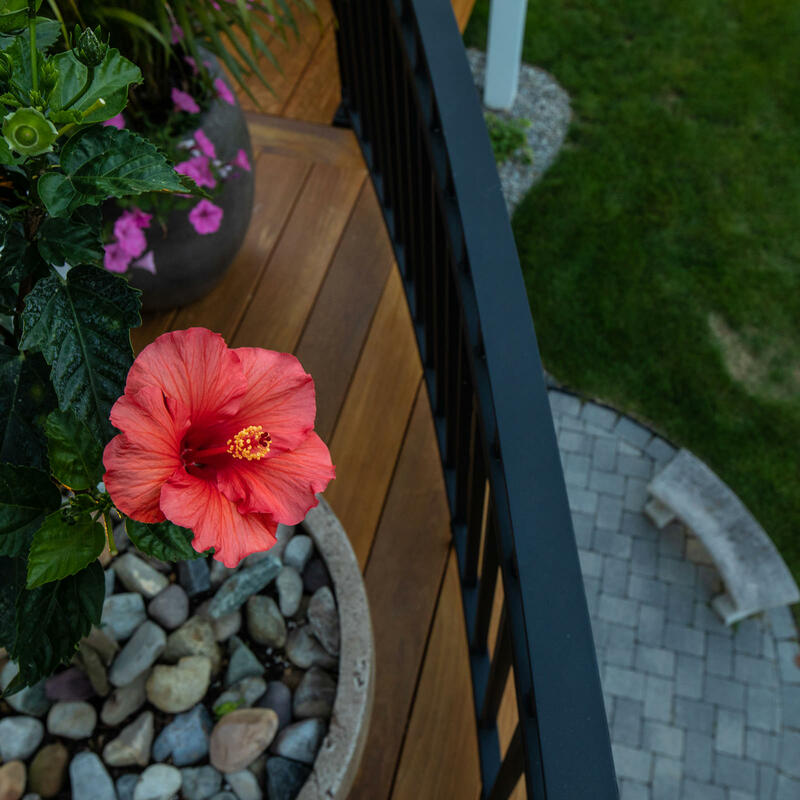 Following these instructions carefully will ensure that you do not damage your low maintenance deck and it will be ready right away in the spring. 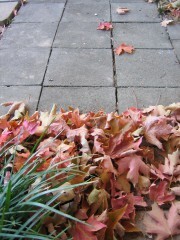 During the autumn months, don’t forget to keep your hardscapes free of fallen leaves and other debris. If wet leaves are left on a hardscape for too long, the leaves will start to break down, leaving stains on your investment! The organic pigments that give foliage its color embed themselves in the micro-pores of the concrete surface. 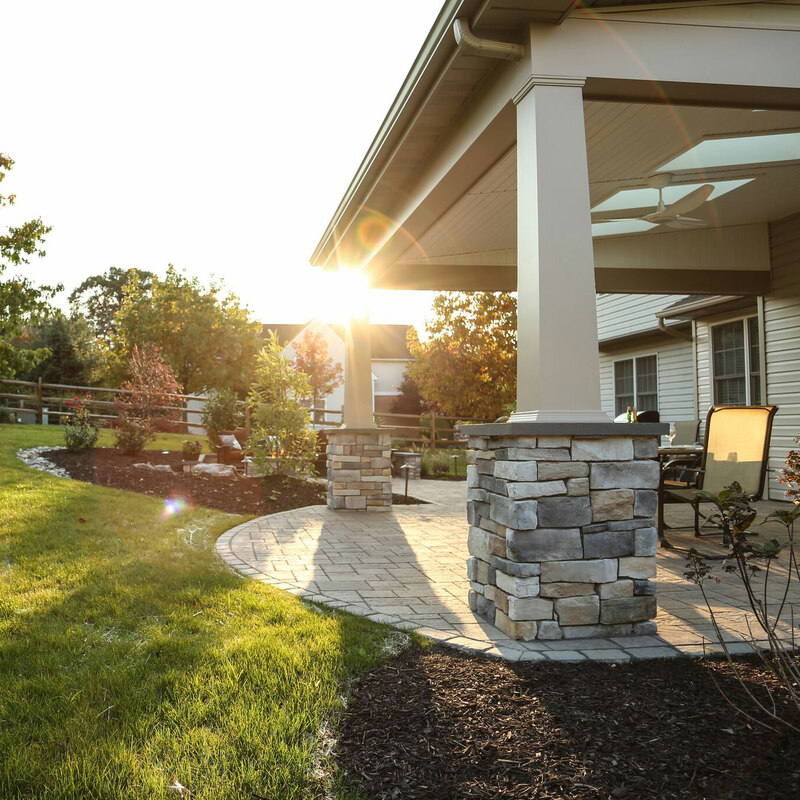 To save your frustration, energy and elbow-grease, be sure to clear off any left behind debris to guarantee your hardscapes will look just as beautiful in the spring when everything starts to come alive again after the winter snow. If you don’t like to grill in the cold and snowy months, cleaning our grill before the beginning of winter is a must. First, start up your grill and let it run for a few minutes to burn off any left over residue. Next, turn the grill off and use your wire brush to clean off the remaining particles. Clean out the grease trap and wipe all remaining parts with hot soapy water. Cover the grill and store in an out of the way space. Don’t forget to scrub your outdoor cushions and umbrellas before before you put them away for the season! Even though cushions and umbrellas are made of outdoor rated materials, they can be a breeding ground for all sorts of gunk. Scrub your fabrics down with hot soapy water and leave them in the sun to dry. The sun naturally inhibits mold. When everything is completely dry, you can store them in garbage bags or sheets and store them inside. If you feel comfortable with leaving your furniture outside, or simply don’t have room inside for the patio set, moving and stacking everything out of the way will be just fine. Cover your furniture with cloth or secured tarps, and they will just need a simple wipe down come spring. Lastly, the true signal that summer is over…closing the swimming pool. Consulting a professional on the proper way to close your particular pool for the season is recommended. Taking the correct steps to close your pool means that opening it back up in the spring will be easier and hopefully the water will still be as clear as the day you closed it! If you live in a snowy region, be sure to talk to your pool professional to make sure your pool cover is winter-rated and will be able to withstand any significant amounts of snow. 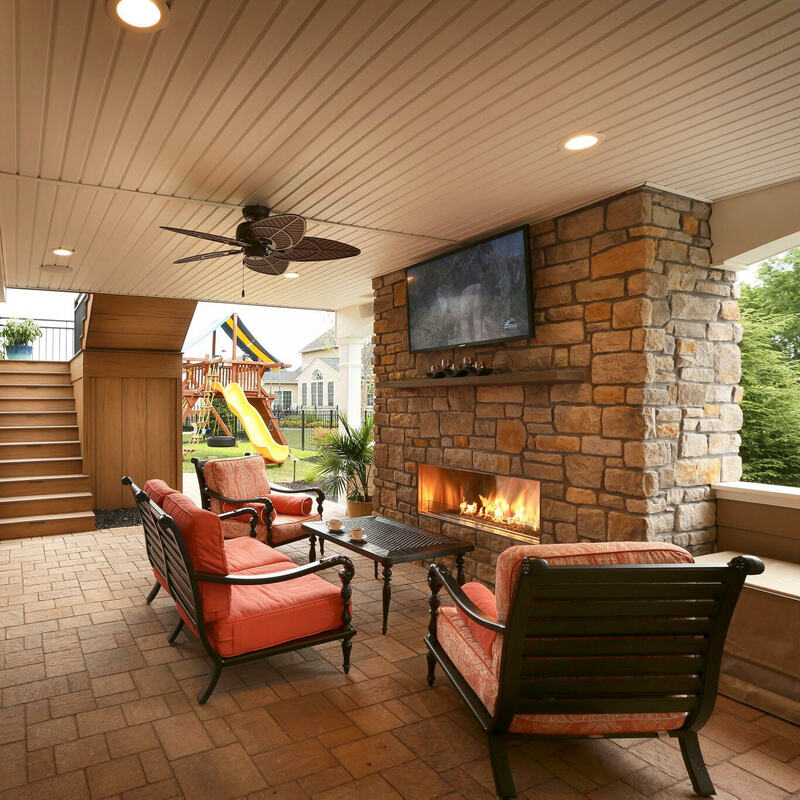 In the spring, you will be so happy you were so diligent in the fall to make sure your outdoor living spaces were taken care of properly. 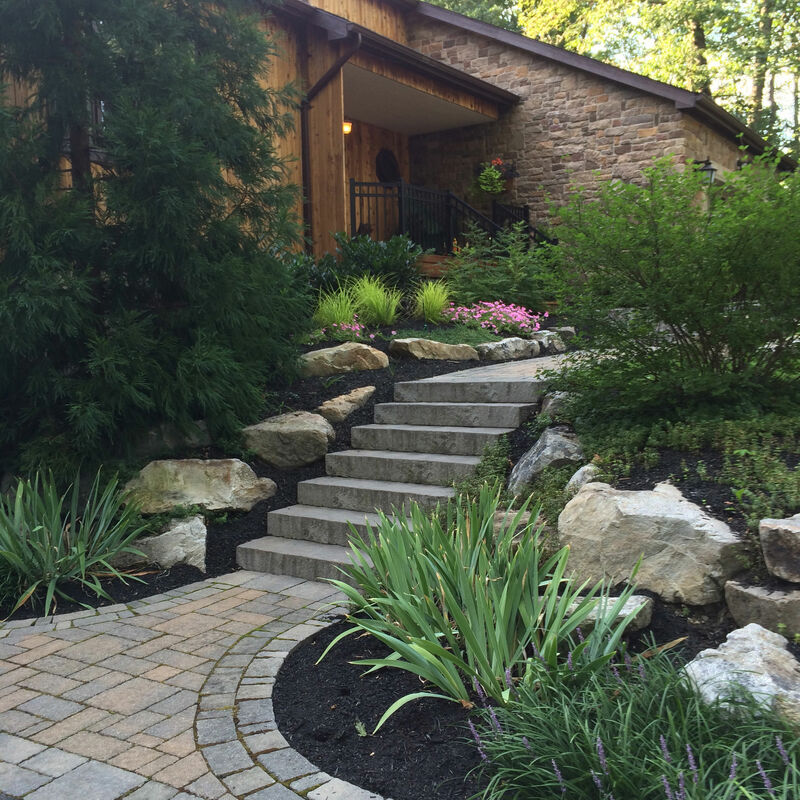 In the event that the winter did create a problem in your outdoor space or landscaping, be sure to reach out to your landscape designer for advise and solutions. 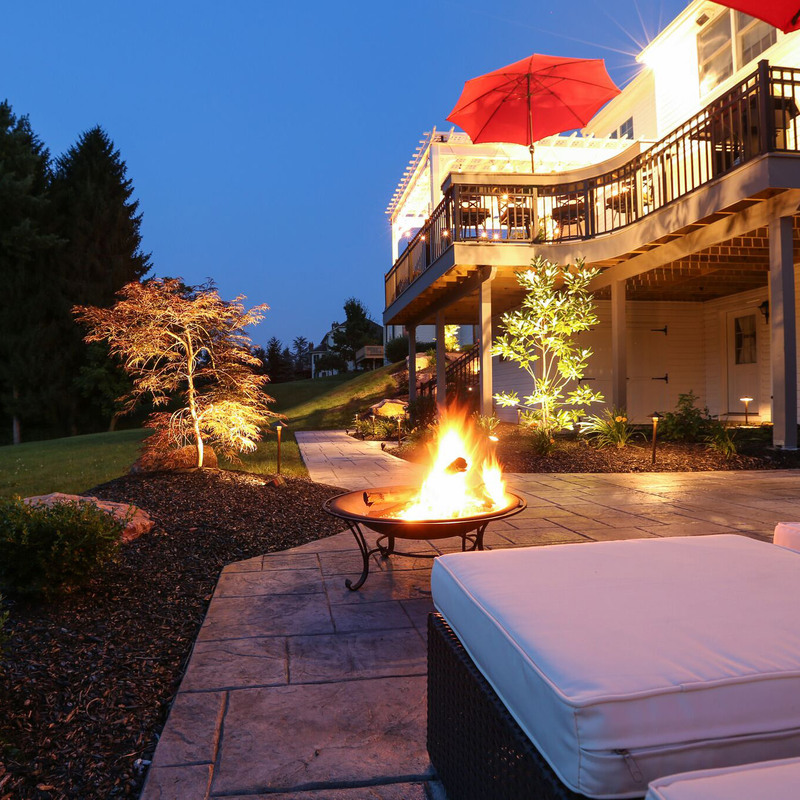 With our now unpredictable winter, you can never fully predict what will happen to your outdoor features, but being proactive is a start. 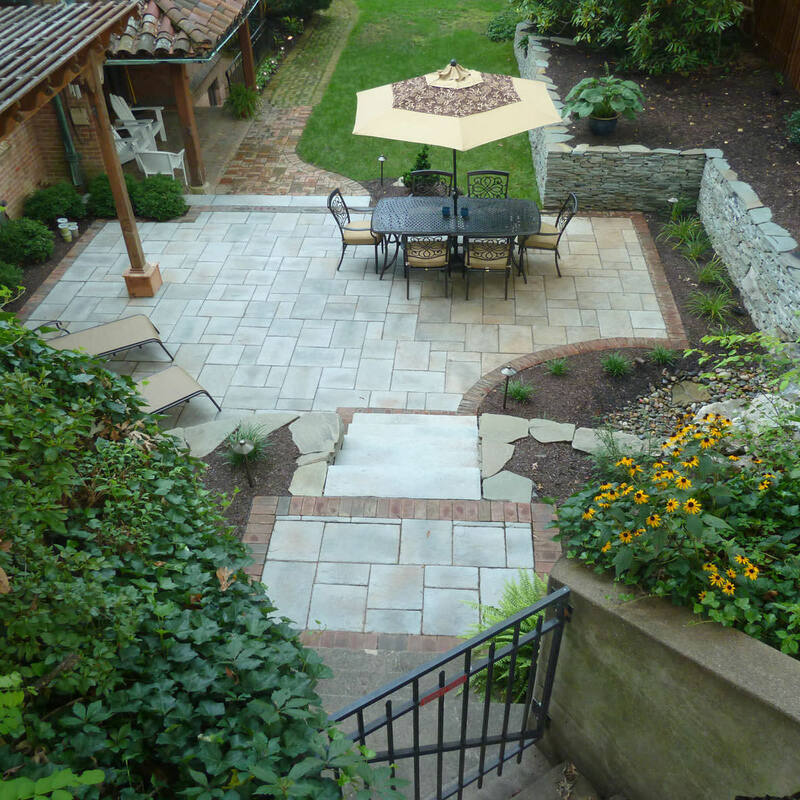 Reach out to MasterPLAN Landscape Design if you would like to re-imagine your backyard and get started on your backyard transformation. 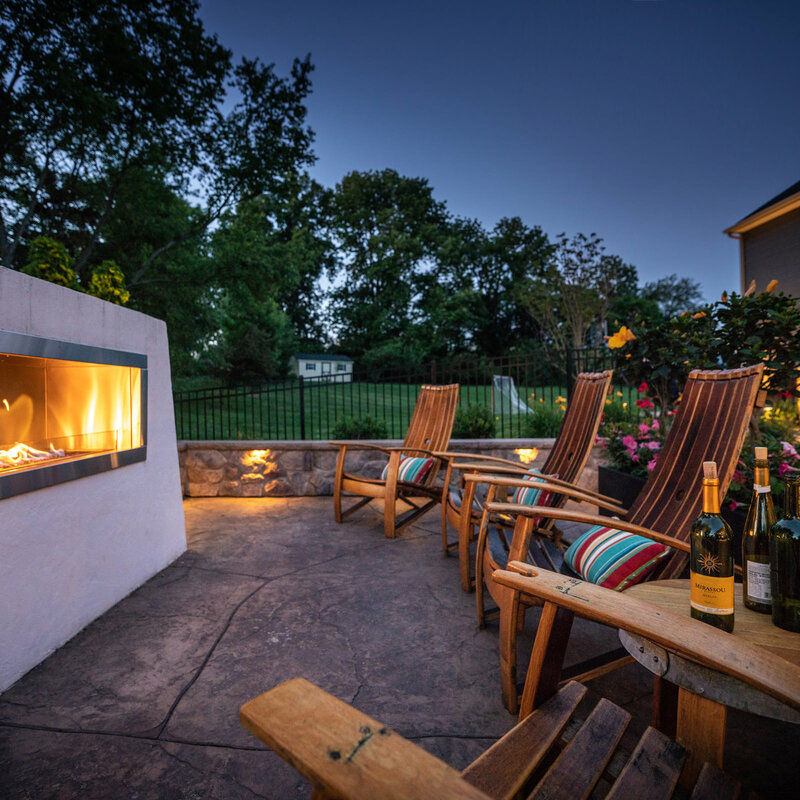 MasterPLAN is truly committed to creating low-maintenance outdoor living spaces that give you an enjoyable place to rest, relax and spend quality time with your friends and family. When you are ready to chat about your project, we are ready!